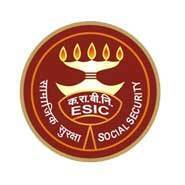 ESIC Jobs Recruitment Notification 2018.Employees State Insurance Corporation, ESIC inviting applications for the positions of Internee Nurse.Interested and Eligible candidates can apply for the positions. 1. Qualification/Eligibility Candidates who have passed B. Sc (N) and are duly registered with the INC_ Candidates who have passed B.Sc (NI) within 1 year of the date of issue of notification i.e. 19/06/2018 would be eligible to apply. Candidates must be pass-outs belonging to the universities situated within Delhi NCR region. 2. Emoluments Stipend (Consolidated) Rs. 22,000/- (Rupees Twenty Two thousand only) per month . Selection for Nursing Internship will be purely on the merit basis.